Chronicling Shirley Temple Black's various careers, this work spans the years from her childhood at the studio and at home through her waning success during adolescence, to her diplomatic and political pursuits. An anomaly among child stars, Shirley Temple Black's successful adaptation to life outside the traditional Hollywood social life is explored against the backdrop of the child-star phenomenon in American entertainment. Facts about her childhood, her parental influences, and her political beliefs present Shirley Temple Black as a unique individual rather than as a child star icon. 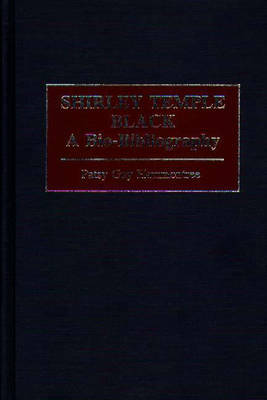 Scholars researching American popular culture will find information on child stars in general through this exploration of Shirley Temple Black's significance within that role. Current attitudes toward racial stereotyping in early films are examined. Research sources for radio broadcasts during the late 1930s and early 1940s are also valuable. The changing American political climate can be viewed through the filter of the economic depression, during which the public embraced Shirley Temple's sense of hope and optimism, and through her, revealed political activism.